A list of “shell” companies where firms keep money offshore will be published to discourage tax evasion, David Cameron has announced, making changes to client due diligence for obliged entities. Ministers had already announced the register, intended to lift the “cloak of secrecy” around company ownership contained within the consultation document for ‘Trust and Transparency For UK Companies’. This consultation also raised a number areas of weaknesses concerning ownership and control and will affect client due diligence procedures for regulated entities. More changes to the way UK companies declare ownership and control will be made by amendments to the Companies Act 2006 to bring the requirements in line with the fourth European Directive on Money Laundering and updated European Data protection Act, both expected to clear the European Parliament early 2014. The prime minister said making the register public will make it easier for firms and developing countries to know who they are doing business with. Labour, anti-corruption campaigners and charities welcomed the move. Speaking at the Open Government Partnership summit in London, Mr Cameron said a small minority of companies have hidden their business dealings in a “complex web of shell companies” for too long. “This cloak of secrecy has fuelled all manner of questionable practice and downright illegality,” he said. “Illegality that is bad for the developing world – as corrupt regimes stash their money abroad under different identities. “And illegality that is bad for Britain’s economy too – as people evade their taxes through untraceable trails of paperwork. Mr Cameron made tax transparency a key issue at the G8 summit earlier this year, and he will say he is “delighted” to announce the “central register of company beneficial ownership” will be publicly available. He will also urge other world leaders to live up to commitments they made at the summit in Northern Ireland. Shadow treasury minister Shabana Mahmood welcomed the announcement of the public register but said the government must go “much further to tackle tax avoidance”. “With the amount of uncollected tax rising in the last year to £35bn, it’s clear this government is failing,” she said. 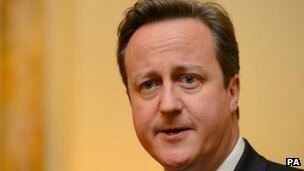 She accused the government of failing to close tax loopholes and said it should be “doing more to open up tax havens”. There is a distinction between tax avoidance – legal measures to avoid paying tax – and illegal tax evasion. Roger Barker, of the Institute of Directors, also welcomed the move, saying it was “right that the true owners of companies should be transparent both to the company itself and the wider business community”. He added: “Significant practical challenges remain in order to ensure that any register of beneficial ownership is accurate and robust, but we support government efforts to begin this process”. Gavin Hayman, of anti-corruption campaigners Global Witness, said: “Anonymous shell companies are the global getaway cars for crime, corruption and tax evasion. He said the register would be “vital” for those fighting to prevent money intended for poverty eradication being “siphoned off”.